Now of course he is injured, and that could possibly put more pressure on him when he returns – especially if Arsenal have coped well in his absence. As we know Arsenal fans on social media have been quick to criticise the striker and after missing two glorious opportunities on February 10th against Spurs, his confidence appeared to be fragile. Given that many players have spoken about the psychological trauma of a long lay off, this could cause further problems. Arsene Wenger defended his player and suggested the focus should be on his overall play as opposed to his failures in front of goal. The long-serving boss has recently admitted that Aubameyang’s arrival at the club had dented Lacazette’s confidence with the club-record signing immediately parachuted into the team at the expense of the luckless Frenchman. 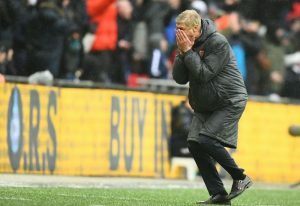 He described it as “difficult period” for his player who was given 25 minutes against their North London rivals at Wembley, this fleeting appearance saw him fashion a number of opportunities as well as balloon a late chance over the bar. The striker works hard and he isn’t afraid to track back and help out the midfield and that could well be his salvation however. True he was signed for his prowess in front of goal but if those around him are doing just that, and he can become a provider he could still come good upon his return. Indeed his recent lack of composure in the final third highlights the need to inject some much-needed confidence back into a player who had been lethal in Ligue 1 prior to making the switch to the Emirates. However he, like his newly recruited colleague can point to the goal scoring feats of both of them: an average return in the first year, but then starting to hit the heights thereafter. Argued this way, the injury could be the making of Lacazette’s season, taking him out of the limelight and allowing him to come back in gently in the latter part of the campaign. True, at the beginning of the season, he was priced at 20/1 to finish as the Premier League’s top goalscorer but he has rarely threatened the charts. Many pundits, including Michael Owen, tipped the Arsenal striker to win this season’s Golden Boot but like so many high provile strikers in their first season, he has underperformed in that regard and those who backed him have already written off their ante-post bet. Pierre-Emerick Aubameyang is likely to continue run in the side for the remainder of the season and the former Dortmund striker is expected to be one of the favourites in next year’s race for the Golden Boot. Harry Kane, who scored the only goal of the game during the aforementioned North London derby has netted 23 times in 27 matches but Liverpool’s Mo Salah is just a goal behind and the Egyptian winger has enjoyed a remarkable debut season in the top flight. The former Roma man offers much better value in the market at a price of 10/3 and he can be backed to usurp Kane in the goalscoring charts using the Paddy Power free bet bonus offer, which gives all new customers a risk-free £20 which can be used on any of their Premier League outright markets. 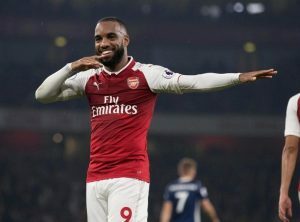 Alexandre Lacazette won’t have been helped by the outpouring of abuse from fans on social media nor will he have enjoyed seeing his team-mate Petr Cech inform reporters that his two big misses were a decisive factor in determining the outcome of the game against Spurs. Arsene Wenger will of course manage his striker carefully for the remainder of the season and he too may secretly be aware that this injury could be a blessing in disguise, as he undoubtedly still has plenty to offer. The 26-year old’s all-around game is still hugely effective and beneficial to the team but his finishing hasn’t been up to scratch. Lacazette must work on that area of his game, get back to basics and ensure he doesn’t become a bit-part player who is reduced to twenty-minute league cameos from the bench and the occasional outing in the Europa League next season. Quote “”Just watching the first 15 goals on that video shows his problem at Arsenal. The striker works hard and he isn’t afraid to track back and help out the midfield and that could well be his salvation however.”” Unquote. It’s all about the style , at Lyon he played off the shoulder of the defenders and was quick to react to second ball chances , defelections , blocks etc. At Arsenal we don’t attack with the same vigour , we hold possession , we don’t attack the box from wide and we don’t create the same number of knock downs for a poacher to poach. There is nothing wrong with Lacazette that a more proactive attacking system can’t solve. Maybe Aubameyang’s style will be more productive he is quicker and opens up the ball over the top , perhaps if they play together the opportunities for Lacazette to profit from will be more plentiful. However the last thing that he should be doing is coming back out of the box where he is most dangerous looking for the ball because it is not played through quickly enough. OT-Ive just wasted some precious moments of my life looking around on Twitter re the lastest storm in a tea cup crepe with AFtv. On one of the threads I saw a post written by somebody (an Arsenal fan, no less) that ‘Arsenal hadnt had any success for decades’.The manager was blamed again- surprise surprise! I realised at that point that he must have crossed over from some parallel universe where the country Chicken rules the world of the big rock flat earth candy mountain, and I made a quick exit away from twitter. But wengers buys. Mustafi LacaThreat. Kalasanac. Mmmmm? What do they all have in common? Howabout they are RUBBISH SIGNINGS ! And if LacaThreat is not scoring goals ?? As he played a different game in France? Perhaps the deluded one when coaching( sic) could perhaps encourage players to play to his strengths?… ?? Are you sure he was an Arsenal fan K.W.? There are people around who call themselves this, but they are leeches that are only interested in winning, not supporting our club. Lacazette will come back stronger because he is a professional playing for a professional club. There are only two players that I can recall who these boo boys got too and never recovered. 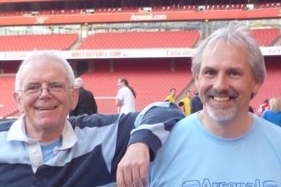 David Price and Jon Sammells, both exceptional talents that are never mentioned , but who I alwyas loved watching. Don’t think Lacazette is getting anything like the dogs that Sammels recieved. I think most supporters know that there is a goalscorer in there , that just needs to have the right service to blossom. Nobody has mentioned another possible factor in Lacazette’s difference in form in England compared with France. The referees. He has said himself that the way English referees perform endangers the players. This could be a deterrent at the back of his mind. And now he actually IS injured! Footballers have a short enough career as it is so I can well understand injury can be a real fear. ken1945-proabbly right! I saw David Price play many times, as you say a great talent. Dom, the logic is giroud is 31… he is swiftly aging. He wants regular football to be in with a chance of playing at his last WC, we cannot give that to him with lacazette and auba ahead of him. He will only decrease in value whereas welbeck is only 26/7 and can still potentially come good. Also we are trying to deal with our aging squad not make it worse so having ozil, mhiki, auba and also giroud over the age of 29 is a bad idea. Selling giroud now makes sense to all parties and means we made an 8m profit on him. thanks for responding AFC. I don’t share your point of view totally owing to the fact that Giroud is a goal scorer and a pretty good holder/distributor of the ball at 31. Welbeck has been ‘developing’ for some time now and indeed he may start scoring by the time he reaches Giroud’s age.As for Lacazette valued ahead of him…go talk to Deschamps.